A colleague recently asked me for advice on work-life balance. My reply crossed the threshold for a blog post, so I'm posting it here to be consistent with my own principles on academic blogging. Since I'm writing from my perspective, my advice is necessarily slanted toward a pre-tenure professor with a partner and small children. Even so, I've attempted to keep the tips general where possible. Start by listing your priorities in life. If factors like "health", "happiness", or "family" rank below professional goals, your long-term priorities are not stable. It is too easy to implicitly prioritize work ahead of everything else. If those inverted priorities persist, a crisis--injury/sickness, depression or divorce--is inevitable. The first step in avoiding (or resolving) a crisis is to explicitly acknowledge your priorities. As a pre-tenure professor, it's important to list the things for which you would sacrifice tenure. As a grad student, it's important to list the things for which you would give up on your Ph.D. The "work more; sleep less" mentality is misguided. To be clear, I'm not advocating getting any less work done. I'm not necessarily arguing for working fewer hours either. I've observed the "work more; sleep less" types in many professions. They brag about working late nights and long weekends. "Work more, sleep less" people tend to focus too much on the hours worked part of the equation. The unit of work / hour part of the equation--productivity--is just as (if not more) important. The book Rework by Jason Fried and David Heinemeier Hansson does an excellent job debunking the necessity of "work more; sleep less." Hacking productivity boosts your maximum theoretical output. When crunch time hits for a "work more; sleep less" individual, he stresses and panics. He cannot throttle up on output. He is at capacity. When crunch time hits for a high-efficiency individual, her output skyrockets, because she can ramp up the hours worked part of the equation. When you talk to colleagues about work, do you talk about what you didn't do--didn't sleep, didn't eat, didn't go to the movies, didn't watch TV? Or, do you talk about what you did--shipped a grant proposal, wrote a manuscript, explored a new idea, gave a great lecture? If you emphasize the things you sacrifice over the things you accomplish, perhaps you're too focused on one part of the work equation. It is good to use perfection as a guide, but recognize that it is unattainable. Perfection is a process; not a destination. Iterate toward perfection but launch once you pass "good enough." Perfectionism inflates your workload by preventing delegation. It also sinks time into work well past the point of diminishing returns. That is time you could have spent on balance. Maintaining work-life balance require setting boundaries. If necessary, it requires harshly enforcing those boundaries. For example, my home router disables internet access for my laptop after 6:30pm and before 8:00am. It allows a 30-minute reprieve at 5:30am and 9:30am for quick synchronization with email and repositories. If you're having a meal, put your phone away or turn it off. If you must, schedule recurring "life" time into your calendar, and set reminders/alarms. Harsh boundaries sting when first enforced, but as you grow to accept and appreciate them, you will force yourself to get your work done around them. It takes a few minutes to entangle yourself in commitments that can take years to unwind. Learn when and how to say "no." If you're over-committed, say, "I'd really like to take on that task/role, but I'm concerned that with my current commitments, I might not be able to perform the this task to the high standards to which I hold myself." Before you say "yes" to anything, sleep on it. If you find yourself over-committed, start delegating, canceling, recusing and refusing. It is a system for systematically tracking all tasks. Critically, it tracks all tasks in one system, professional and personal. Since it tracks everything, it will also help you recognize the moment you've become overcommitted--the moment you must start saying "No." GTD has layers of organization, and as you find it increasingly difficult to reach the deeper layers, it's a good sign that you're over-committed and must scale back. Compatible productivity systems like The Pomodoro Technique are useful when it comes time to execute tasks. I don't use a strict pomodoro technique, but I recognize the core principle: high-efficiency bursts of interruption- and distraction-free work. In a family or a relationship, every member needs to know the stress level and work load of every other member. A shared calendar system like Google calendar helps with implicit communication of stress level. I also created a web app for my wife that graphs my inbox size over time. Any upward deviation indicates an increase in stress. It is also important to maintain explicit, dispassionate communication of stress level: if you're stressed or becoming stressed, warn your family. They may be able to adapt or help you compensate for short periods if you communicate your needs. Relying on telepathy is the most efficient way to doom a good relationship. Even if you love your work (as many in my profession do), it is important to have hobbies outside of work. Even the best jobs create stress. Hobbies are a way of letting stress go before it explodes. Decide on a list of essential personal tasks. If you have a partner, split them up. Each should claim preferred tasks. For the remaining unwanted tasks, divide them evenly or consider hiring someone to do them. For every task, ask whether it is worth your time to do it, given how else you could spend that time. For example, while I'm capable of cutting the lawn each week, I don't enjoy it, and my time is better spent on research, writing a blog post or playing with my kids. So, we hired a neighborhood college student to cut our lawn. Or, for instance, if you don't like to clean (or would better utilize that time on another task), consider a home-cleaning service. Realize you won't always strike the right balance. Listen to your partner and if they're not satisfied, take action. Move the boundaries; change your habits; or reduce your workload. Recognize that achieving work-life balance is a never-ending process. 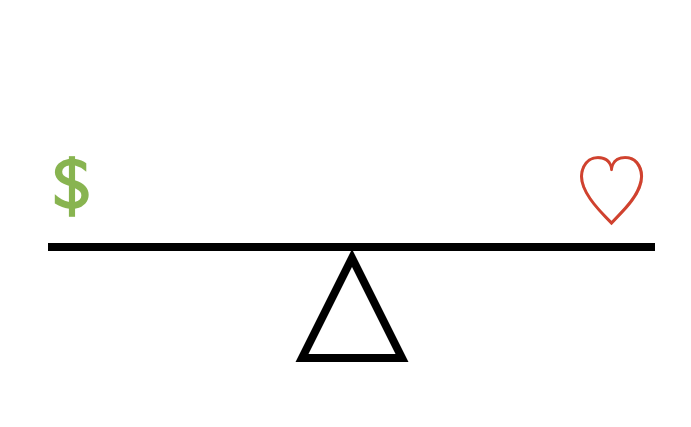 Don't treat the balance in "work-life balance" like a noun. Treat it like a verb.